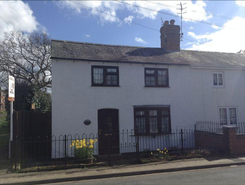 3 Bed, semi-detached white cottage in a desirable area for sale. 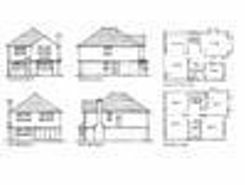 A rare opportunity to acquire a potential building plot and adjoining field of approxima 2.5 acres, situated in Wildmoor, Bromsgrove. The site is currently occupied by a pair of two bedroom cottages, which could be restored or demolished in order to introduce new homes, subject to planning permission. 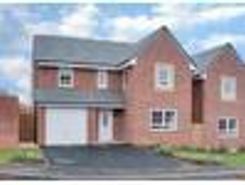 Sale Price £409,995 until 30th January 2019 A stunning four double bedroom detached new build Barratt home, offered with a contemporary kitchen/diner, an en suite to the master bedroom, a landscaped rear garden, off road parking and garage, situated in Norton Farm, Bromsgrove. 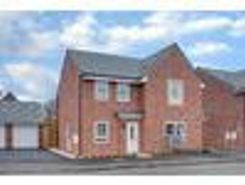 A beautifully presented four double bedroom detached new build Barratt home, offered with a contemporary kitchen/diner, an en suite to the master bedroom, a landscaped rear garden, off road parking and garage, situated in Norton Farm, Bromsgrove. 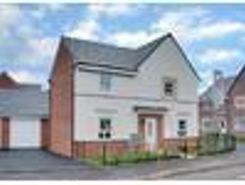 A beautifully presented four bedroom detached new build Barratt home, offered with a contemporary kitchen/diner/family room, an en suite to the master bedroom, a landscaped rear garden, off road parking and garage, situated in Norton Farm, Bromsgrove. A beautifully presented two double bedroom detached new build, offered with no upward chain, solid wood flooring to the ground floor, rear garden and gated off road parking, situated in a quiet road in Stoke Prior, Bromsgrove. Property marketplace TheHouseShop.com have been helping consumers letting, renting, buying and selling houses online and have gathered detailed knowledge of the Bromsgrove in Worcestershire property market allowing users to save money along the way. Property website TheHouseShop is unique in the UK property market as it is the only place that accepts listings from homeowners and professionals, so visitors will find properties available for sale and to rent from traditional estate agents, online-only agents, private landlords, private sellers and property developers. Sellers using TheHouseShop can choose whether they want to sell their home privately or if they would like to sell using a high street estate agent or online estate agent. Homeowners in Bromsgrove in Worcestershire can save thousands of pounds by selling their own home on TheHouseShop.com. Selling property online is popular in Bromsgrove in Worcestershire and private house sales are a great option for many Bromsgrove in Worcestershire homeowners. TheHouseShop can arrange a free professional property valuation from a local property manager with expert knowledge of the Bromsgrove in Worcestershire market – helping you to set the perfect price for your property. Homeowners can choose from a number of marketing add-ons to boost their property advert and sell or let their property faster. TheHouseShop's property marketplace has made it easier than ever before for sellers and landlords in Bromsgrove in Worcestershire to save money and advertise their properties directly to millions of potential buyers and tenants. TheHouseShop are on hand to help private landlords and private sellers in Bromsgrove in Worcestershire to advertise their properties. Estate agents in Bromsgrove in Worcestershire can also use TheHouseShop to advertise their listings free of charge and reach a new audience of buyers and tenants. 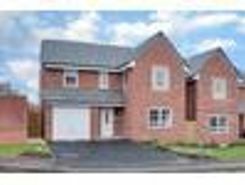 People looking for property in Bromsgrove in Worcestershire will find a wide selection of houses, flats, apartments, bungalows and maisonettes for sale on TheHouseShop.com. TheHouseShop is the only property website to display property listings from professionals and individuals, so you won't find their Bromsgrove in Worcestershire properties on websites like RightMove and Zoopla which only show estate agent listings. Make sure you visit TheHouseShop during your property search and don't forget to set up a free property alert to find thousands of unique new homes updated daily. 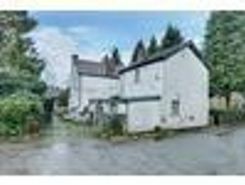 Choosing the best estate agent in Bromsgrove in Worcestershire to sell your home is important and TheHouseShop can help homeowners compare Bromsgrove in Worcestershire estate agents and make an informed decision on how to sell their home. Each day thousands of buyers visit TheHouseShop looking for property for sale and in Bromsgrove in Worcestershire and the surrounding areas. 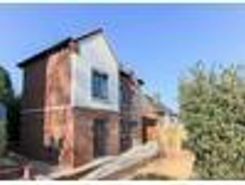 People looking for wheelchair accessible and adapted homes for sale can use TheHouseShop's accessible property section to find disabled-access homes in Bromsgrove in Worcestershire. 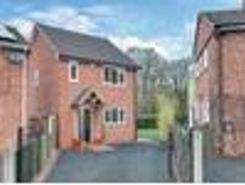 TheHouseShop showcases accessible properties and new homes for sale from some of the foremost property developers in Bromsgrove in Worcestershire. Home hunters will find a wide selection of cheap homes for sale on TheHouseShop website. Buyers looking for affordable homes can find a variety of new homes for sale in Bromsgrove in Worcestershire available through Shared Ownership schemes. Want to find out how much a property is worth? Buyers can use TheHouseShop's free online valuation tool to get an estimated house price for any property in Bromsgrove in Worcestershire. TheHouseShop is here for everyone and anyone who wants to buy, sell, rent and let property in Bromsgrove in Worcestershire, so don't miss out and visit us today!